High quality closed-cell PVC vinyl gives it a soft cushion feel. Embedded fabric mesh provides more durability against tearing. (100% latex free). The size of each mat is 24" x 68" and 3/16" (4.7mm) thick - providing extra thickness for added comfort. Minimum quantity: Our Yoga Deluxe Studio Mats are available in eight colors and must be purchased in multiples of 8 mats of one color (cannot mix colors within each 8-pack). These are quality yoga mats. The mats are made of a durable, high-tack, sticky surface with a soft feel making it an ideal mat for yoga. Each mat is individually shrink wrapped (except tangerine). Affordable deluxe yoga mats are ideal for resale or as rental / loaner mats for gyms, clubs, yoga studios and yoga instructors (or those who simply want rock bottom wholesale yoga mat pricing). 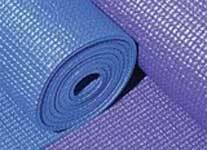 This closed-cell PVC sticky yoga mat has a pronounced texture on both sides and provides a cushioned feel. Our Yoga Deluxe Studio Mats are available in eight colors and must be purchased in multiples of 8 mats of one color (cannot mix colors within each 8-pack). These are quality yoga mats. 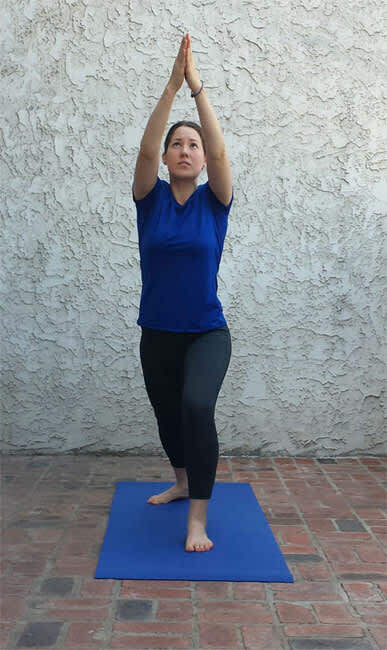 The mats are made of a durable, high-tack, sticky surface with a soft feel making it an ideal mat for yoga. Thickness: 3/16" (4.7mm) - providing extra thickness for added comfort. Available in Sky Blue, Navy Blue, Purple, Burgundy, Red, and Black. Minimum quantity: Must purchase in packs of eight (cannot mix colors within each 8-pack).